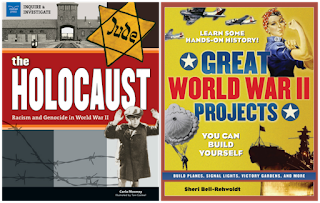 The history of WWII is so big and so complicated, with roots going back to WWI, that it can sometimes (understandably) overwhelm students. Sure, they may like to read novels set in WWII, but they are usually about how main characters faced and met different kinds of challenges, which is great but they don't really give kids the whole picture of what this war was about. So, how does a teacher, whether in the classroom or home schooling, help their young students understand how and why the world found itself at war again just 20 years after the "war to end all wars" had ended? To answer that question, Diane Taylor goes back to World War I. In Chapter One, The First World War, Taylor gives a brief but detailed history of the causes for that the war, looking at the early alliances European countries formed as a way of avoiding conflicts and their lingering distrust of one another, especially Germany, so that by 1914, they were all primed for a war that just needed a spark. That spark came when Archduke Franz Ferdinand and Duchess Sophie of Austria were assassinated 1914. Taylor then brings the reader through the war, why the United States was pulled into it into the conflict, and the Treaty of Versailles at the end of the war. Chapter 3, The War in Europe, looks at the war in Europe, beginning with Germany's invasion of Poland, followed by the invasion of other European countries in Hitler's quest for more and more Lebensraum (living space) for German colonization. It also covers the Battle of Britain a/k/a the Blitz, Hitler's attempt to invade Russia and the beginning of the Holocaust. Chapter 4, The Bombing of Pearl Harbor, details the U.S. entry into WWII, after a sneak attack of the American navy fleet in Hawaii on December 7, 1941, the U.S. response declaring war on Japan, and its ally Germany, home front fears of Japanese loyalty, and America's decision to open up concentration camps for Japanese Americans living on the West Coast, and the role of minorities in the still segregated armed services. Chapter 5, War in the Pacific and Asia, covers the beginning of the war in the Pacific, America's unpreparedness against the strongly militarized Japanese, the capture of Americans and the Bataan Death March, the Japanese practice of death before dishonor, and the use of incendiary bombs against Japan, as well as the building of the Burma Road, needed to help supply China with essentials. The war in the Pacific was a very bloody war, yet most people on the home front were more focused on the war in Europe, and the reasons why are also looked at. Chapter 6, War's End, looked at the factors that finally brought WWII to an end, beginning with the African and Italian Campaigns, and the invasion of Normandy or D-Day, the liberation of Europe and finally the liberation of Hitler's concentration and death camps, followed by the use of the atom bomb and the end of war in the Pacific. 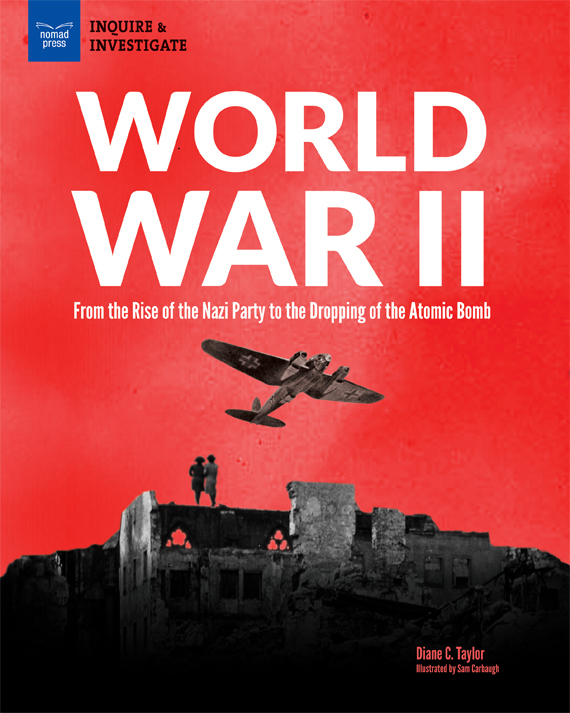 Chapter 7, Legacies of World War II, focuses on the many stateless people who wandered Europe after the fighting stopped, having no place to call home, the birth of Israel, the Nuremberg trials of Nazis for crimes against humanity, and the new role of the United Nations and eventually the establishment of the European Union. 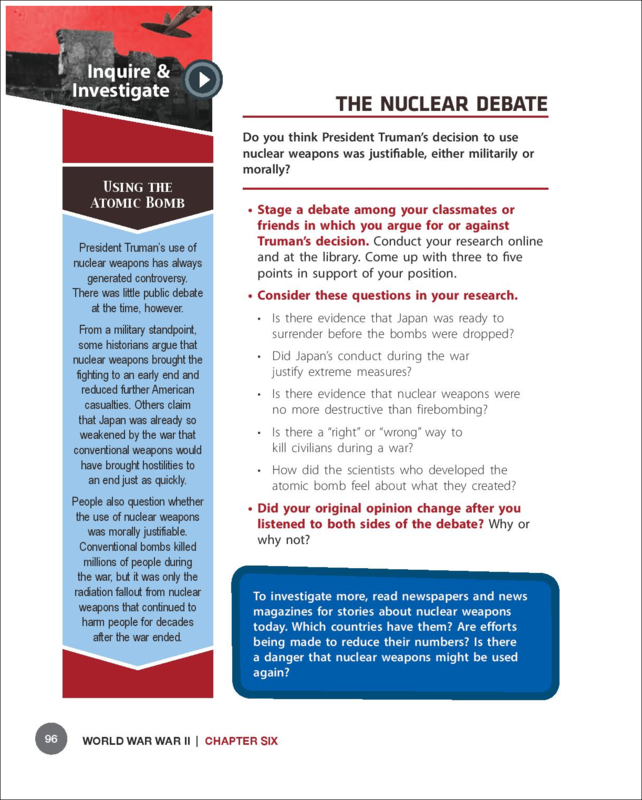 Teachers can also download a useful Classroom Guide to use with this book, courtesy of the publisher, Nomad Press. 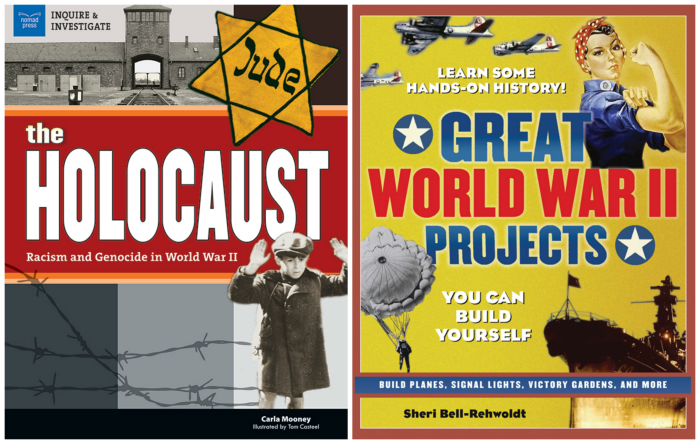 If you are a teacher or just interested in WWII history, I can't recommend these books highly enough.